MPs have backed Steve Reed’s new law to end the disproportionate use of force against mental health patients. The Mental Health Units (Use of Force) Bill was backed unanimously by MPs from all parties in the House of Commons on 3 November. 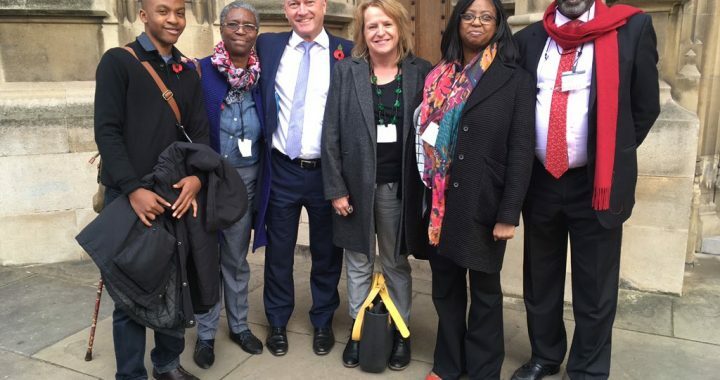 Known as Seni’s Law, the Bill is named after Thornton Heath resident, Olaseni Lewis, who died as a result of being forcibly pinned down by 11 police officers after his family sought help when he showed signs of mental ill health. The Bill will require hospitals to publish data on how and when physical force is used, and improve oversight and training so staff are aware of the risks of unconscious bias against minority groups such as young black men with mental ill health. Seni’s Law was backed by over 25 mental health charities and justice campaigners. Over 60,000 members of the public backed the law change on a 38 Degrees petition. “I have come to know Seni Lewis’s parents, Aji and Conrad, very well over the past few years. They are two of the most dignified and inspirational people I have ever met, but they have suffered pain and anguish that no parent should ever have to face. “When I asked Aji and Conrad what they hoped for after all they have been through, they told me that they do not want Seni’s death to be in vain. They do not want any other family to suffer as they have suffered. I say to this House now, and to his parents, that Seni Lewis did not die in vain.